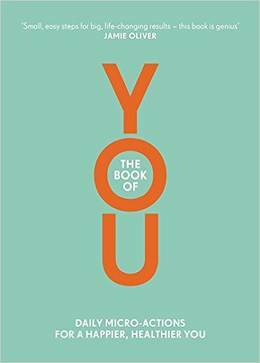 Give The Book of YOU one minute of your time each day and achieve a happier, healthier, more fulfilled life. Change can be hard and rarely happens overnight. The aim of this book from Nora Rosendahl, Nelli Lähteenmäki and Aleksi Hoffman is to empower you to make change happen. Life is not about how many steps you walk, how many calories you eat or your place on the leaderboard. Life is about feelings, moments, shared experiences; enjoying every victory, celebrating balance and showing vulnerability. Complete just one micro-action each day - eat more fruit, take the stairs, do a random act of kindness - and it will help you live a happier, more fulfilled life.